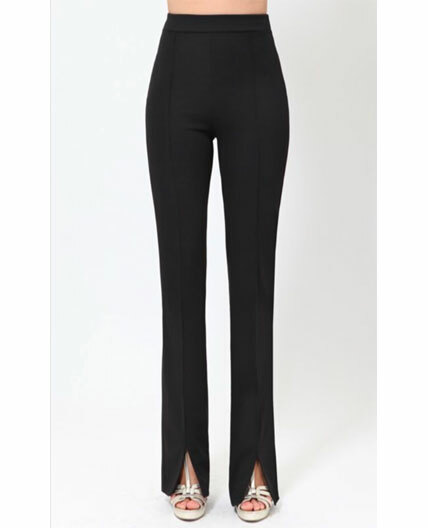 Solid straight leg dress pants with a small bottom slit. The pants come in a crepe stretch fabric and have a back zipper. Matches nicely with the blazer jacket style JK-8307.